UPDATE: New date for OurCrowd’s Global Investor Summit 2017! We would like to let you know about some changes to our upcoming 2017 OurCrowd Global Investor Summit. Over the past few weeks we have been working on a plan to capitalize on some cool opportunities and decided to move the date of the Summit to February 15th-16th, 2017. The OurCrowd Summit has become the largest investor event in Jerusalem, the capital of the Startup Nation, and we hope to offer you an even stronger event in 2017. For further details about the event and to reserve your seat, apply at summit2017.ourcrowd.com or email summit@ourcrowd.com. OurCrowd accredited investor? You’re guaranteed a seat! RSVP now. Please mark your calendars and join us for the 2017 Summit. We look forward to seeing you in Jerusalem on February 15th! We are delighted to announce our 3rd annual Global Investor Summit, scheduled for February 15-16th, 2017, in Jerusalem! The OurCrowd Global Investor Summit is one of the leading events in the Israeli high-tech industry. Over the last two years, the Summit has brought together thousands of investors, entrepreneurs, industry leaders, venture and corporate partners, global delegations and members of the press from all over the world who gather in Jerusalem, the capital of the Startup Nation, to celebrate our collective drive for innovation. This has become the largest investor event in the history of the city. Get a taste of OurCrowd’s innovative startups, meet fellow investors, hear from industry leaders and join us in building the future of the high-tech industry! We look forward to seeing you in Jerusalem! FinTech enthusiasts: Will we see you at Finovate this May? 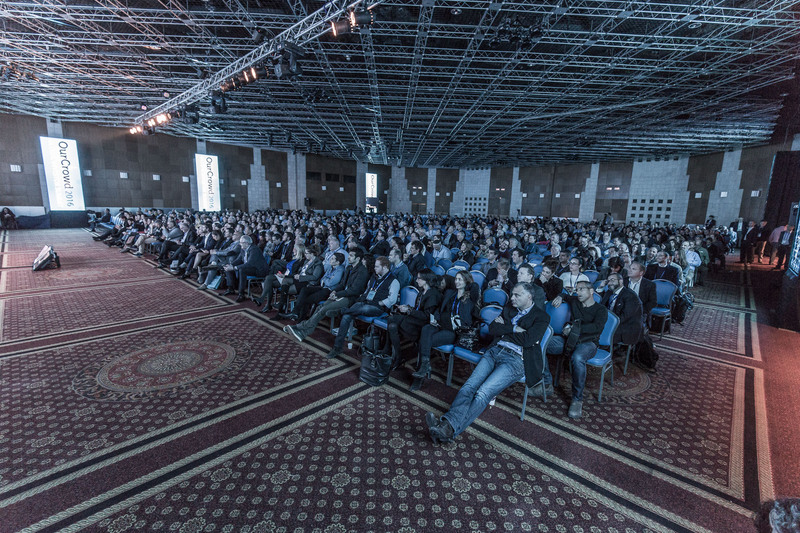 FinTech investors, developers and enthusiasts – will we see you at Finovate this year? OurCrowd is excited to announce that we will be launching a new product offering during a live demo at Finovate, the annual showcase for cutting-edge banking and financial technology in a unique demo-only format. We invite you to join us on May 10 in San Jose, California, as our Chief Product Officer Shai Ben-Tovim takes the stage to present OurCrowd’s future of investing. At Finovate, OurCrowd will launch new tools to empower investors by making investment discovery, discussion and decisions more insightful, robust and connected. Other brands joining Finovate’s spring conference include IBM, Intuit, Lending Club, Apple, Google and dozens more. Meet Shai Ben-Tovim, OurCrowd’s Chief Product Officer: He is leading the OurCrowd team in developing the strategy, platform and user experience that generate value and support scale in startup crowd investing. He is responsible for the ongoing evolution of our platform and overseeing all marketing, product management and technology activities. Shai has been delivering great products for over 15 years and has held senior positions in strategy, product and technology management across multiple industries. Interested in joining us at Finovate? Get in touch to inquire about an OurCrowd Investor discount.